One phrase I usually roll my eyes at when folks try to use it as a criticism of a fictional film is that it was "manipulative". Fictional stories are made up tales that, by design, manipulate the audience to sympathize with characters, worry for them, etc... While the best directors, writers, actors and Hollywood talent in general have a knack for this and make it happen organically, studios spend a tremendous amount of energy getting good at pushing all the right buttons for audiences despite the raw materials they're working with. A combination of brand identity, pre-awareness, familiar faces and providing absolutely no surprises along the way seems to be the most profitable of movie formulas, if the roaring success of the Transformers franchise is any indication. Anyone who shrugs off Spielberg as a commercially successful director is missing the point, film snobs. Spielberg has got his technique down, winning both the organic, artistic argument as well as the crowd-pleasing popcorn crowds, balancing one against the other with only the occasional misstep. He's going to have to be long dead before we treat him like a rich, fun guy in a baseball cap, but the man can direct the living hell out of a movie. And part of that has always been that Spielberg's attention to detail is astounding. From his 1970's and 80's scenes of domestic life that ring with the cacophony of exhausted parents raising children (E.T., Close Encounters, Jaws) to the nuance of character he gets out of his actors in everything from Lincoln to Bridge of Spies. When Jurassic Park arrived in theaters, it was a fun-park ride about a Disneyland with no rides - but, rather, living attractions, a fantastic zoo where science had not stopped to wonder if: just because they could, whether they should. For all the wonder of dinosaurs, there were a million details that were right: vehicles on tracks, contingency plans, a controlled environment overseen by an experienced crew including a big game hunter to make the calls on how to manage the deadly denizens of the park. No thought was spared when it came to how such a park would work. In fact, the movie takes place prior to the opening of the park as "the blood sucking lawyer" is brought in to review whether or not the park is fit to open, if it's safe, if they know what they're doing. Of course, this came not just from Spielberg, but from the novel by pop-science-fiction author Michael Crichton (no, I never read it), who understood that sometimes if an idea is pretty fantastic, it can work as just a single point of fiction in an otherwise tangible universe. So, of course, lawyers would be pretty interested in figuring out what sort of liability their eccentric founders were asking InGen to take on putting delicious humans anywhere near Tyrannosaurus Rexes. And, of course, a major plot point is that the two paleontologists asked to look it over and give the thumbs up see danger everywhere despite the precautions taken. 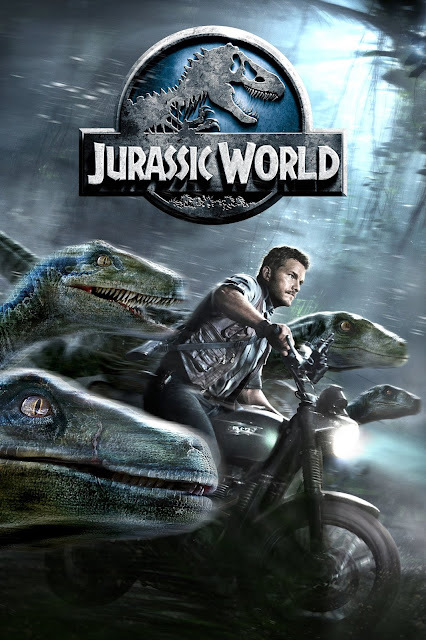 Which is weird, because Jurassic World seems intent on lifting scenes and shots from Jurassic Park, but it's steadfastly disinterested in the logic and tone of the world of the first two movies. It's a movie about dinosaurs eating people and that makes families find each other again, and two people with absolutely no chemistry fall in love. Ready to the sacks for money!" Once Upon a Time in the West (1968) isn't just one of my favorite Spaghetti Westerns or Westerns, it's one of my favorite movies. I try not to watch it too often as I'm afraid I'll reduce something about the film by making the viewing of the film rote (I've come dangerously close to this with Superman I and II). Instead, each time I watch the movie, I feel like I get something more out of it, see some detail, appreciate some nuance a bit more. If you ever want to see my ideal for combination of camera work, design of scene, score, acting and blocking to drive story and ideas - look no further. The film features a tremendous central cast. Henry Fonda and Charles Bronson of course. Jason Robards. Woody Strode and Jack Elam have guest spots as gunmen. And, of course, we have Claudia Cardinale as Jill. I wrote up this movie in August of last year. You can read my write up there with many loving screengrabs I stole from the internets. SimonUK and I took in a screening at the Alamo Drafthouse Ritz on Wednesday evening. It was the second time I'd seen the movie on the big screen, the first being one of my first trips to The Alamo Drafthouse at its original location on Colorado Street. This time we didn't get the large theater, but the projection was phenomenal. I assume it was s digital projection, as we weren't told otherwise. While I don't have anything particularly new to say about the movie itself, I have been thinking about one aspect of the film in relation to current trends in how we interact with media in 2016. 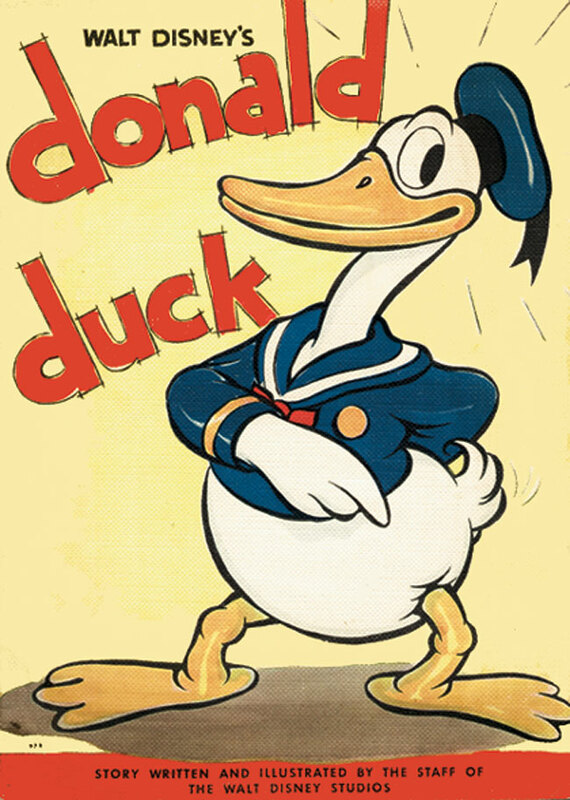 Today marks the 82nd Anniversary of the release of The Wise Little Hen from Disney Studios, which featured the appearance of Donald Duck. And now, every day when I drive around, I look at a Donald Duck toy hanging from my rear-view mirror, keeping me company. 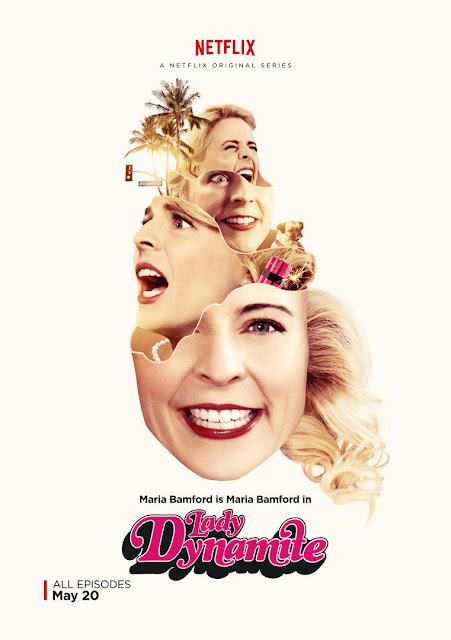 Maria Bamford has been around the comedy scene, stand up and character performing, for some time. I can remember stand-up clips of a very young Bamford on basic cable in the late 90's, and a general awareness of who she was despite the fact I'm not one of those folks who follows comedy the way some people follow music. But, she had a unique voice (literally and metaphorically) from the time she came out of the gate. In 2005 she appeared as part of the documentary, The Comedians of Comedy, which followed comedians Patton Oswalt, Brian Posehn, Zach Galifianakis and Maria Bamford as they toured the country playing, basically, rock clubs. And I remember watching the film and being deeply concerned for Bamford during the entire movie. They sort of tried to play it off as "Maria keeps to herself. Maria's an introvert," but the movie basically gave up on trying to get her to participate, and so she became a kind of non-entity within the film. In 2012, on the heels of Louis CK figuring out people would pay him directly for content and the rise of Kickstarter, Maria Bamford also had a special "The Special Special Special", which I paid to Ms. Bamford to download. And if you've never seen The Special Special Special, it's kind of amazing. She basically does an entirely new set for her parents from inside her living room. And I guess it was while watching that show, or around that time, that I learned she'd had some sort of mental breakdown. And, it seemed, doing this special was Phase 1 of her getting her feet back under her, professionally. But from the first few minutes of the first episode of Lady Dynamite (now streaming on Netflix), it feels like someone has finally properly placed the megaphone to Bamford's mouth and given her the proper stage where it's not just her freaking out the squares doing her stand-up or trying to fit into someone else's mold of how entertainment is supposed to work. The show is Bamford's world, and it's - for once (and people say this a lot, but I think it's a safe bet it's true here) - a unique perspective. Not many shows out there are a sitcom recounting the protagonist's real-life struggles with mental illness. And making it understandable, sympathetic, and honest-to-god hilarious. I didn't grow up in a baseball family. We never watched baseball on television, and my baseball career lasted one season of T-ball. I did make it to an Astros game and saw Nolan Ryan pitch, both a great memory and maybe the single most common experience in baseball as the man pitched for about 8 decades. During high school I returned to the Astrodome to catch a game, and it was there where I internalized that I really didn't know a damn thing about baseball. 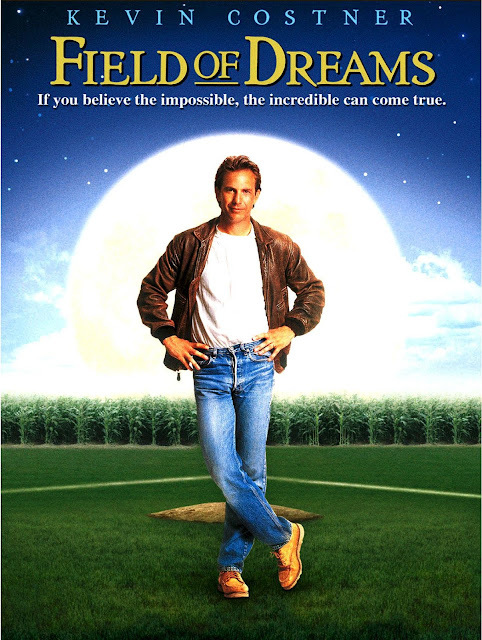 But when I'd go see movies as a kid, baseball was no different to me than law-enforcement or flying an airplane - it was just something I hadn't learned about yet. So why wouldn't I go see movies about baseball? I did see Field of Dreams (1989) during its initial theatrical run. Aside from a general appreciation for the movie, I'm somewhat surprised at the movie on this review, that audiences filled cineplexes to see it and it was a big enough movie that it became cultural shorthand, leaving us now only with the misquoted bit of "If you build it, they will come" (it's "If you build it, he will come." And it's weird that should be misquoted given the underlying tension of the film.). But that's comparing today's audiences to audiences of 2016 who wouldn't stand for this sort of thing. Or, rather, wouldn't show up in droves for a movie about mysterious voices instructing people to build baseball fields.